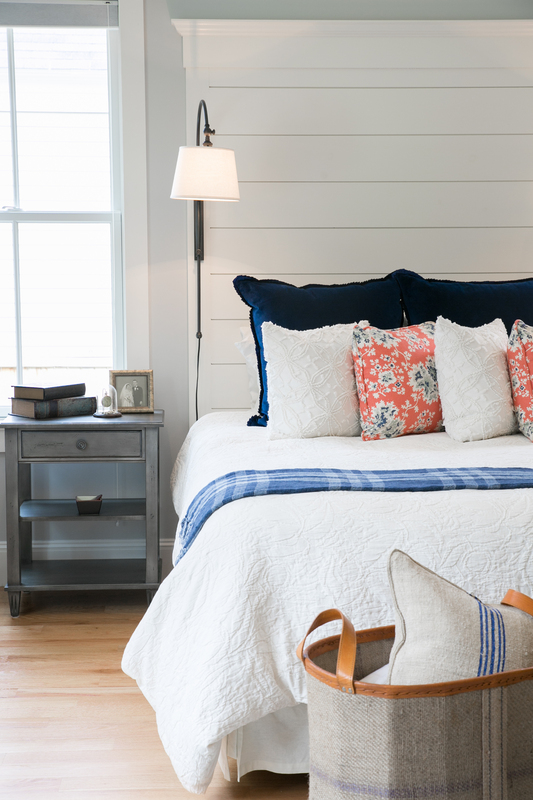 Layer multiple fabrics, textures and patterns in your bedding to get the best result. Where did you get the comforter, the pillows, and the baskets? The bedding is from various sources- including local vendors, trade resources and custom-made. The duvet cover is available at Pottery Barn. The baskets are also an item that is special order, but are available for purchase. If you are interested in any of the items in particular, please email me at thegoodhome@maine.rr.com and I would be happy to give you more information.